Ideology and Christianity in Japan shows the major role played by Christian-related discourse in the formation of early-modern and modern Japanese political ideology. The book traces a history development of anti-Christian ideas in Japan from the banning of Christianity by the Tokugawa shogunate in the early 1600s, to the use of Christian and anti-Christian ideology in the construction of modern Japanese state institutions at the end of the 1800s. 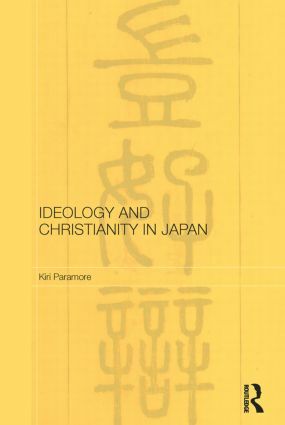 Kiri Paramore recasts the history of Christian-related discourse in Japan in a new paradigm showing its influence on modern thought and politics and demonstrates the direct links between the development of ideology in the modern Japanese state, and the construction of political thought in the early Tokugawa shogunate. Demonstrating hitherto ignored links in Japanese history between modern and early-modern, and between religious and political elements this book will appeal to students and scholars of Japanese history, religion and politics. Japanese Christian thought: Doctrinal diversity or civilizational clash?